Writers at all stages of their careers are welcome to submit their work to The Malahat Review. It publishes poetry, short fiction, and creative nonfiction by new and established writers mostly from Canada, reviews of Canadian books, and the best writing from abroad. 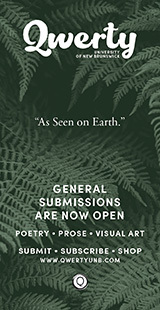 The Malahat Review accepts submissions of poetry, fiction, and creative nonfiction by Submittable only. Mailed or emailed submissions of any genre are no longer being processed; nor will they be returned. *Please note that the regular submission guidelines differ from each of our contest guidelines. * If you're looking to submit your writing to one of our contests, please visit our contest information page. Queries about the guidelines below may be sent to malahat@uvic.ca. The Malahat Review reads all year. To emphasize the contemporary nature of the writing it publishes, The Malahat Review seldom accepts work with more than one issue's delay in publication. The best way to know what we are looking for is to order an issue from our website: $14.95 in Canada (including shipping and postage), $16.95 for U.S. orders, and $17.95 for those from elsewhere. 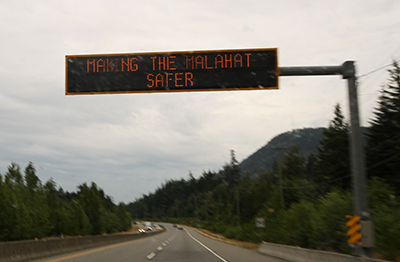 You can also subscribe to the Malahat. The Malahat Review accepts submissions of poetry via Submittable only. Mailed or emailed submissions will not be read or processed. Unsolicited poetry submissions should consist of three to five previously unpublished poems (up to six pages maximum), on any subject and in any style. 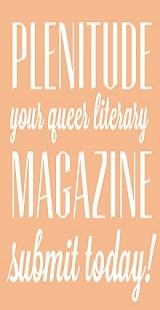 The magazine will often accept several poems by the same author; therefore, please do not limit your submission to a single poem. Please save your submission of poems in a single .doc, .docx, or .pdf file. All the poems must be typed and single-spaced, with each poem starting on a new page. All submissions must be paginated. Your name and contact information should appear on each page. There is a designated spot to include a brief cover letter on Submittable. In the cover letter, please include your name, mailing address, email address, telephone number, the title of each poem submitted, and a short biographical note. *Read a Q&A with poetry board member Jay Ruzesky on what he's looking for in submissions. Excluding any of The Malahat Review’s contests and theme issues, writers may only submit one regular (non-contest) submission of poetry once per calendar year﻿. The Malahat Review accepts submissions of short fiction via Submittable only. Mailed or emailed submissions will not be read or processed. Unsolicited submissions of previously unpublished short fiction may be up to 8,000 words in length. Unless you are submitting flash fiction, no submission may consist of more than one story. Up to three flash fictions may be submitted in one submission, and they must be submitted in a single file. The maximum length for each flash fiction is 750 words. Please save your short-fiction submission in a single .doc, .docx, or .pdf file. Short-fiction submissions must be typed, paginated, and double-spaced. Your name and contact information should appear on each page. Please specify the number of words in the story (or stories) submitted. There is a designated spot to include a brief cover letter on Submittable. In the cover letter, please include your name, mailing address, email address, telephone number, the title of the story or stories submitted, and a short biographical note. 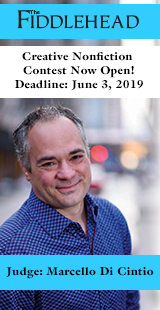 Excluding any of The Malahat Review’s contests and theme issues, writers may only submit one regular (non-contest) submission of fiction ﻿once calendar per year﻿. *Read a Q&A with editor and fiction board member Iain Higgins on what he's looking for in submissions. The Malahat Review accepts submissions of creative nonfiction via Submittable only. Mailed or emailed submissions will not be read or processed. Unsolicited submissions of previously unpublished creative nonfiction may be up to 4,500 words in length. No restrictions as to subject matter or approach apply. Unless the stories are very short (i.e., less than 1,000 words each), no submission may consist of more than one story. Creative nonfiction is literary writing based in fact. It can include, but is not limited to, the personal essay, memoir, narrative nonfiction, social commentary, travel writing, historical accounts, and biography, all enhanced by such elements as description, dramatic scenes, dialogue, and characterization. Please save your creative-nonfiction submission in a single .doc, .docx, or .pdf file. 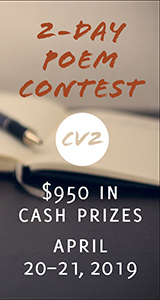 Creative nonfiction submissions must be typed, paginated, and double-spaced. Your name and contact information should appear on each page. Please specify the number of words in the story (or stories) submitted. 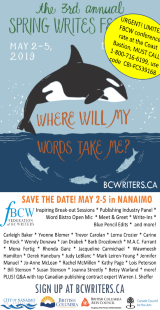 Excluding any of The Malahat Review’s contests and theme issues, writers may only submit one regular (non-contest) submission of creative nonfiction ﻿once per calendar year﻿. *Read a Q&A with creative nonfiction board member Holly Pattison on what she's looking for in submissions. The Malahat Review reviews Canadian-authored books of poetry, fiction, and literary nonfiction in every issue. Most reviews are 800 to 1,000 words in length. The magazine rarely publishes articles and interviews. Please query first by mail or email since we seldom consider unsolicited book reviews or other forms of criticism, including interviews. Samples of previously published work should accompany your query. Publishers and authors may send copies of their new titles by mail (see the Contact page for our mailing address) on the understanding that no review is guaranteed. Email announcements of new titles are also welcome. Over 200 books are received every year; between 25 and 38 of them are reviewed. The Malahat Review will consider translations of poetry, short fiction, and creative nonfiction. When submitting translated work, please include a copy of the original text and a copy of a letter of permission from the author and/or first-language publisher. Submissions of translations must conform to the guidelines above for the genre in question. They must be sent through Submittable. The Malahat Review posts Publishing Tips as a bimonthly guest column on its website and in Malahat lite. Topics may range from how to write cover letters, to what house style means, to choosing a rhyming dictionary, to having an author photo (as opposed to a selfie) shot. We pay $50 per tip to appear on our website. If you have a Publishing Tip you’d like to share, email The Malahat Review at malahat@uvic.ca, with “Publishing Tip Idea” in the subject line. Tips should be 750 words or less. The Malahat Review never publishes unsolicited artwork on its cover or inside pages. Excluding any of The Malahat Review’s contests and theme issues, writers may only submit one regular (non-contest) submission in each genre ﻿once per year﻿. Previous publication is considered to be any appearance in print or online, including on or in a newspaper, newsletter, magazine, anthology, chapbook, book, e-book, website, thesis/open-source academia, electronic magazine, personal blog, Twitter, Facebook, or other social-media platform. Please note that even if the print run or circulation of the print publication where the work has previously appeared is small, this is still considered previous publication. No work that has been excerpted elsewhere is eligible for submission; nor is a work that has been revised since its original publication. The Malahat Review discourages simultaneous submissions. Response time will vary depending on the volume of submissions received. Please allow for one to six months for poetry and nine months for fiction and creative nonfiction. The Malahat Review purchases first world serial print and digital rights and, upon acceptance, pays $65 CAD per published page plus a one-year subscription starting with the issue after the one in which the accepted work has appeared. Two copies of the issue in which the accepted work has appeared are sent to each contributor. Copyright reverts to the author upon publication. Authors of Publishing Tips columns are paid an honorarium of $50.